A calcium blood test is used to measure the amount of calcium you have in your blood. There are two types of calcium blood tests: a total calcium blood test and an ionized calcium blood test. A large portion (about half) of the calcium in the body is bound to proteins like albumin. A total calcium blood test measures the calcium concentration of all the calcium in the blood, both bound and unbound. With an ionized calcium blood test, the only the calcium in your blood that is unbound to proteins is measured. Both tests are performed the same way, but a total calcium blood test is more commonly performed. Learn more about what to expect with a total calcium blood test. Calcium is a very important mineral, necessary for strong and healthy bones and teeth. Calcium also contributes to the proper functioning of your heart, muscles, and nerves. So, it makes sense why a calcium blood test would be an important test to undergo. Your doctor will order a total calcium blood test as part of your regular medical checkup. A total calcium blood test may also be ordered if you are exhibiting symptoms related to high or low calcium levels. Kidney disease. People with kidney disease usually have low calcium levels. Malnutrition. This is when you're either not eating enough or not eating the right kinds of foods that will provide your body with the nutrients it needs. When you are malnourished, your calcium levels will likely be very low. Finally, if you already being treated for having abnormal calcium levels, your doctor may order this test to monitor the effectiveness of your treatment plan. 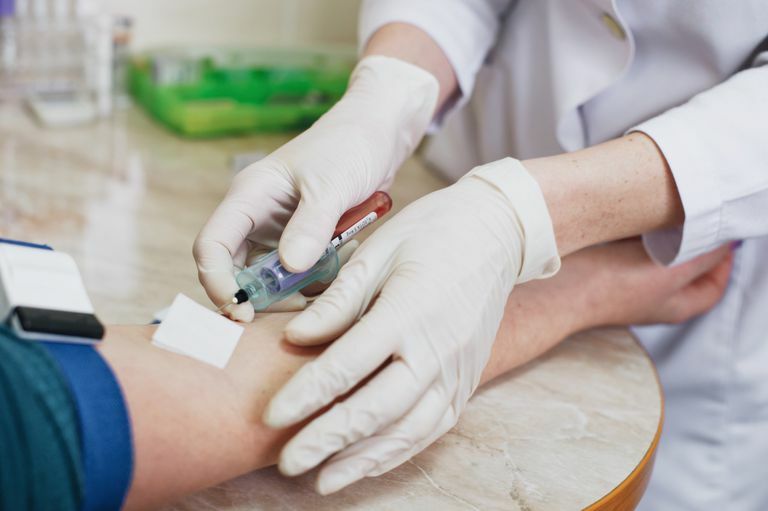 Many times, a total calcium blood test will be ordered along with other tests in a basic metabolic panel (a test that measures important minerals and substances in the body). Some of the tests in a basic metabolic panel are a glucose test, creatinine test, and sodium test. For a more in-depth analysis of your medical status, your doctor may order a total calcium test in combination with the tests in a comprehensive metabolic panel. A calcium blood test, like most other blood tests, doesn’t have any contraindications or serious risks. Your doctor will ask you questions about your medical history. He or she will also likely ask questions about your family medical history. You should disclose to your doctor if you have a family history of kidney disease or thyroid disease. It's also best to tell your doctor about all the medication, supplements, and/or herbs you may be taking. You should let your doctor know if you are (or could be) pregnant as it may affect your calcium levels, and therefore, your results. The calcium blood test is a simple blood test and will take only about a minute or two. The test will take place in the hospital. This could either be in the laboratory of the hospital or in your doctor's office. You can dress as you like for these tests. Although, it would be advisable to wear sleeveless or short sleeved clothes, or at the very least, clothes with sleeves that are easily rolled. This makes for easy access as the blood will be drawn from your arm. There is no food restriction with this test; however, if your doctor is ordering it along with other tests, she may instruct you not to eat or drink anything for some hours before. You will be able to drive or transport your self back home after this test, so there’s no need to ask a friend or family member to pick you up. The blood draw will be performed by either your doctor, a nurse, or a laboratory scientist. A needle will be injected into your arm, and blood will be drawn from it. The blood drawn will be transferred into the appropriate test tube or vial. You may feel a little stinging while the needle is inserted and while it’s being used to pull blood, but that’s normal. If your veins are hard to see, a tourniquet may be tied around your arm for some seconds. This will allow your veins become more prominent and easier to see. This entire process will take just a minute or two. If you feel any serious pain during this process, you should immediately tell the doctor, nurse, or whoever is drawing the blood. Once your blood has been taken, you’re free to leave. If you feel a bit dizzy or faint, you should sit for a few minutes and let it pass before you attempt to drive. You’ll likely be informed of the specific date to come back for the test results. If you suspect that you may be experiencing any of these effects, be sure to call your doctor or the healthcare professional who performed the test. Your doctor or the attendant at the lab will be the one to tell you how long it’ll take for your results to arrive. Normal calcium levels are between 8.5 to 10.2 mg/dL (milligram per decilitre). Another factor that could influence your test results includes being immobilized or bedridden for a long period of time beforehand. Additionally, drinking large quantities of milk beforehand can likely skew your results. A higher than normal total calcium (hypercalcemia) could be indicative of having any of the following conditions. Hyperparathyroidism. With hyperparathyroidism, one of your four parathyroid glands is producing too much of the parathyroid hormone. If your doctor suspects this, he/she will order a repeat total calcium test and another blood test to check for your parathyroid hormone levels. If further tests reveal elevated levels, then a diagnosis of hyperparathyroidism will likely be made. Paget's Disease. Paget's disease is a disorder in which your bones are enlarged and weak. If your doctor suspects this after considering your calcium test results and your symptoms, he will order an X-ray and bone scan, along with a blood test to measure your serum alkaline phosphate, before making a diagnosis. Cancer. Lung cancer, breast cancer, and some blood cancers can cause hypercalcemia. If your doctor suspects that you have cancer, he will order the appropriate tests—further blood tests and biopsies—to check for the presence of malignancies. Hyperthyroidism. This is a condition in which your thyroid is overactive and producing too much of the thyroid hormone. Hyperthyroidism is diagnosed by ordering a thyroid stimulating hormone (TSH) test. Thyroxine (T4) and triiodothyronine (T3) tests may also be ordered, too. Sarcoidosis. This is a rare condition in which tiny clumps of inflammatory cells grow in different parts of your body. It is difficult to diagnose and there are a myriad of tests—from a physical exam, chest X-rays, to CT scans—that your doctor may order if there is a chance you have sarcoidosis. Hypoparathyroidism. Hypoparathyroidism is one of the most common underlying causes of calcium levels, and it is caused when your parathyroid glands aren’t functioning well and are not producing enough parathyroid hormones (or any at all). If your doctor suspects this is the case, he will order blood tests to check for your phosphorus and parathyroid hormone levels. Kidney Disease. If your doctor suspects that you have kidney disease, he will order a blood test called an estimated glomeruli function test (eGFR) to check how well your kidneys are functioning. Acute Pancreatitis. This is a condition in which the pancreas suddenly gets inflamed before eventually recovering. To make a diagnosis of acute pancreatitis, your doctor will order blood tests to measure your blood levels of magnesium, potassium, sodium, sugar, and fats. Low-Protein Levels. A low total calcium result can mean you have low protein levels, especially of the protein albumin. Low levels of albumin could be indicative of liver disease and other serious conditions. Because of this, your doctor may order an albumin blood test to check what your levels of albumin actually are. Magnesium deficiency. To confirm a diagnosis of this, your doctor will likely order a blood test measuring your magnesium levels. This test is usually contained in a basic metabolic panel test. You should note that having a calcium test result that is outside the normal range doesn’t mean for sure that you have any medical condition. You should discuss thoroughly with your doctor what your results mean and what they may or may not indicate. The calcium tests result, along with other test results and your symptoms (if any), that your doctor may make a diagnosis of any underlying medical conditions. If you underwent the total calcium test to monitor a condition you have already been diagnosed with, you should ask your doctor what the test results are indicative of—is your condition getting better or is it getting worse? Will you need to add more steps or medications to your treatment plan? You should also ask if you will need to take this test at regular intervals. It may be a couple of days before your calcium blood test results are ready, and during that period, you may feel anxious or nervous. You should speak to your family and friends about your fears as that may make you feel better. Another important thing you should know is that regardless of your results, a calcium blood test is rarely enough to make a decisive diagnosis of any serious medical condition. If based on your calcium test results, your doctor suspects you have another underlying condition, you will still have to undergo further tests to confirm the condition's presence or absence. If it does turn out that you do have an underlying condition causing your abnormal calcium levels, it’s best that it was caught early so that treatment can be most effective. What Is an eGFR Test? Calcium Blood Test. MedlinePlus Lab Test Information. Medlineplus.gov. Hypercalcemia. Cleveland Clinic. Cleveland Clinic.